Last night, SpaceX and Tesla CEO Elon Musk appeared on The Late Show and revealed some plans for Mars that sound a little out there. On only the second night since Stephen Colbert debuted on the talk show, Musk explained the fastest way to turn Mars into a human-friendly planet is to attack it with nuclear weapons. Musk called Mars “a fixer upper of a planet,” saying it can be “transformed into an Earth-like planet” by warming it up. 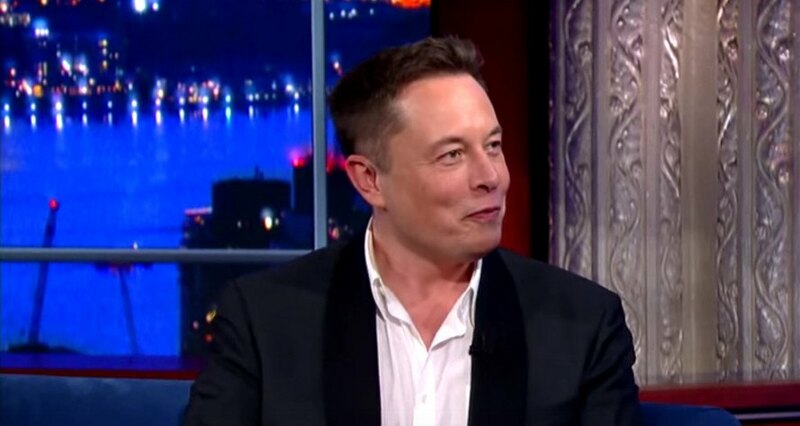 The “fast way” to do that, Musk told Colbert, is to “drop thermonuclear weapons over the poles.” The host, of course, reacted in true Colbert fashion and likened Musk to a comic book supervillain. Colbert isn’t sure whether Musk is trying to save the world or destroy it, but it’s probably wild ideas like this one that helped Musk earn his billions. Prolly a great idea,. Human survivable planet at cost of melting one useless icecap. SpaceX and Tesla CEO Elon Musk appeared on the Late Show with Stephen Colbert.